The 29-year-old suspect, who briefly lit his own jacket on fire, is accused of throwing multiple Molotov cocktails at the Iglesia Ni Cristo church and at a parking attendant who rushed over to see what was happening. Video-surveillance footage and an eyewitness to an arson last week at a Rainier Valley church enabled Seattle police to quickly identify and arrest a 29-year-old man on Tuesday evening, according to a court document outlining the police case. The suspect, who is accused of throwing several Molotov cocktails at the Iglesia Ni Cristo church while services were under way last Thursday night, made his first court appearance Wednesday, when a judge found probable cause to hold him on investigation of first-degree arson and attempted first-degree assault, according to King County prosecutors. Bail was set at $500,000. 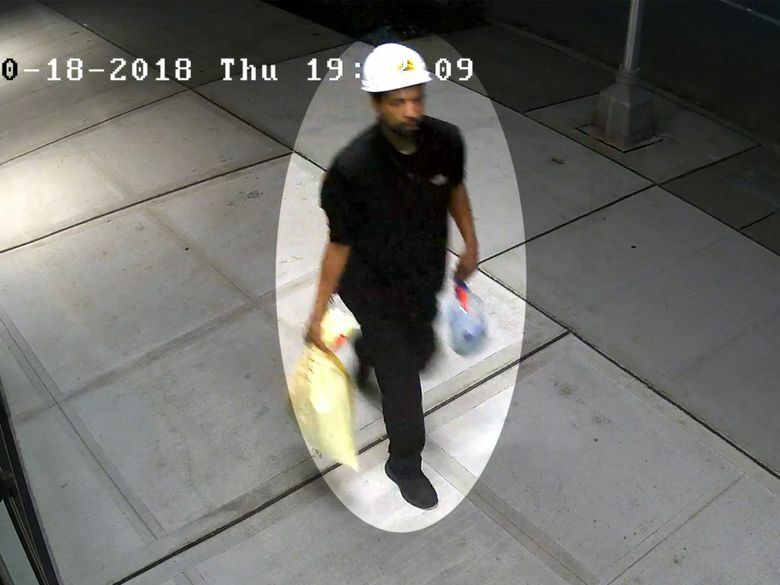 Just before 8 p.m. Thursday, a man was seen on video-surveillance footage walking north on 42nd Avenue South with a bag in one hand and a plastic jug in the other, according to the statement of probable cause. He then stopped in front of the church at 7100 42nd Ave. S. and removed items from the bag, setting them on the ground. “He then picks the items up one by one, lighting them and throwing them at the church,” the statement says. On the third cocktail, the suspect lit his own jacket on fire, which he took off before hurling more Molotov cocktails at the church, it says. When a parking attendant rushed over to see what was happening, the man turned and started throwing Molotov cocktails at the attendant, according to the statement. The man then retrieved his bag and jacket and walked north before turning and throwing one last Molotov cocktail at the church, it says. The footage also showed a witness walk by the man, then turn and watch him as he lit and threw the cocktails at the church, the statement says. The probable-cause statement does not mention a possible motive. Phone calls to Iglesia ni Cristo – which means Church of Christ in Tagalog, the language of the Philippines – went unanswered Wednesday. A spokeswoman for the Seattle Fire Department previously said about 50 people were inside the church at the time of the fire but no one was injured. Early Monday, a friend of the witness went to the Seattle Police Department’s South Precinct and gave the suspect’s name to officers, telling them he was encouraging the witness to come forward, according to the statement. He told officers he’d seen the suspect around “the camp” – presumably a homeless encampment in the neighborhood – but doesn’t really know him, the statement says. Several hours later, the friend called 911, said he was with the witness, and that they were following the suspect, according to the statement. They followed the suspect until officers arrived at Martin Luther King Jr. Way South and South Graham Street and arrested him just after 10 p.m., the statement says.